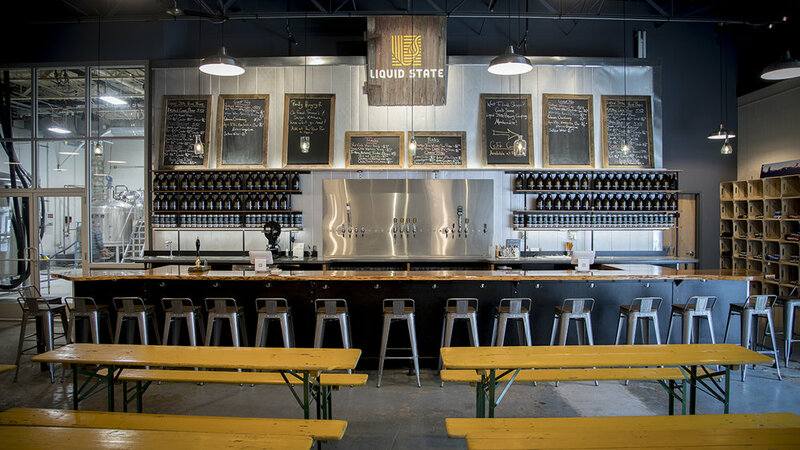 Liquid State Brewing Company is a craft brewery and beer hall in Ithaca's West End District. 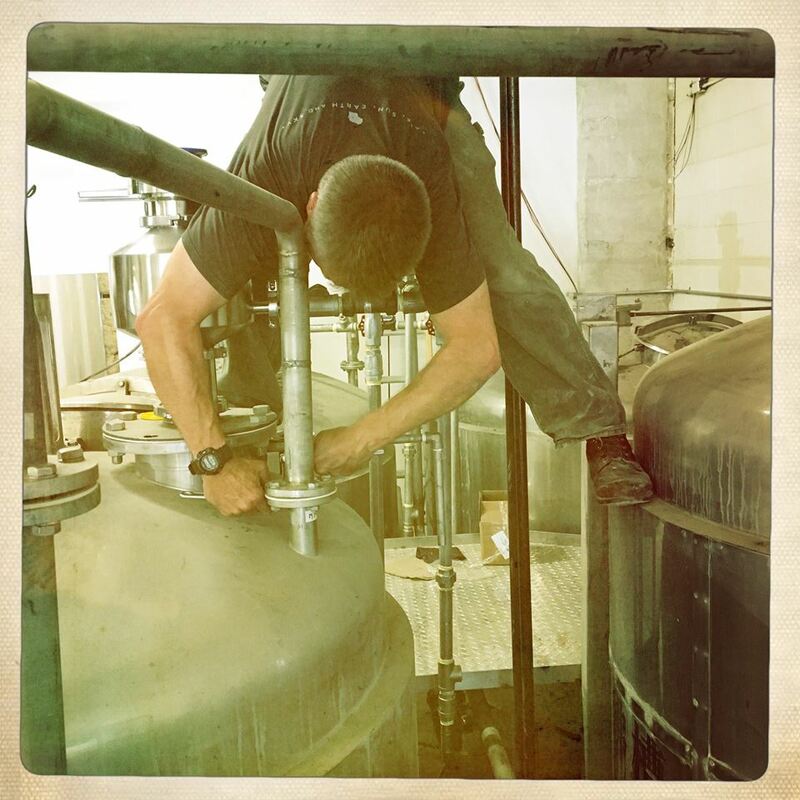 We are focused on creating high quality, small batch beers with our 20 hectoliter brewhouse. Our on-site beer hall offers our fresh ales and lagers as well as local wines, ciders and foods from around our great state and beyond. Coupled with local food trucks, as well as the opportunity to order-in from surrounding restaurants, we will bring our customers the best our community has to offer. Prost! Or take home 64 oz Growlers or 32 oz Cans to go!!! A crisp dry-hopped pilsner with a rush of Saaz hops. ABV 5.5%. (from our own TBurg hop farm) and local malts create this citrusy pale ale. and coriander. tart and refreshing with a strong lemon zing. A pale, straw colored beer; light, effervescent, and refreshing. New release: Breaking the rules with this New England-style double IPA! Pours a hazy orange with a sweet tropical and citrus aroma. 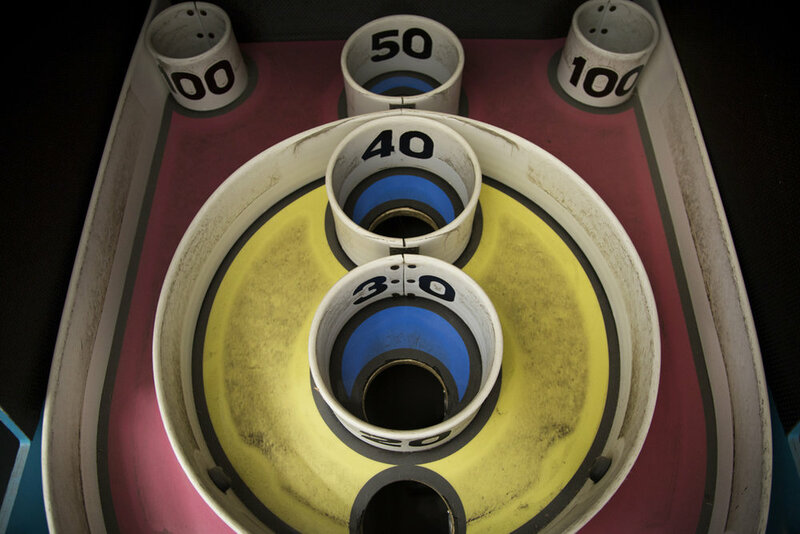 only 3 kegs - today until gone! Past: Passion of the Sonic! 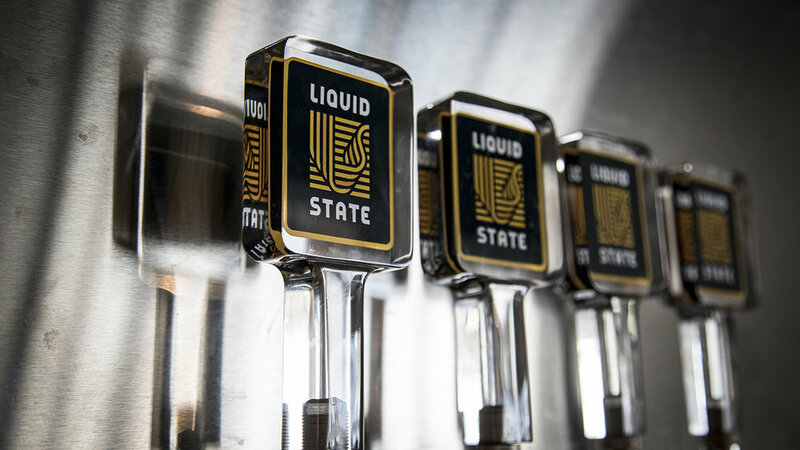 Want to have an event at Liquid State? 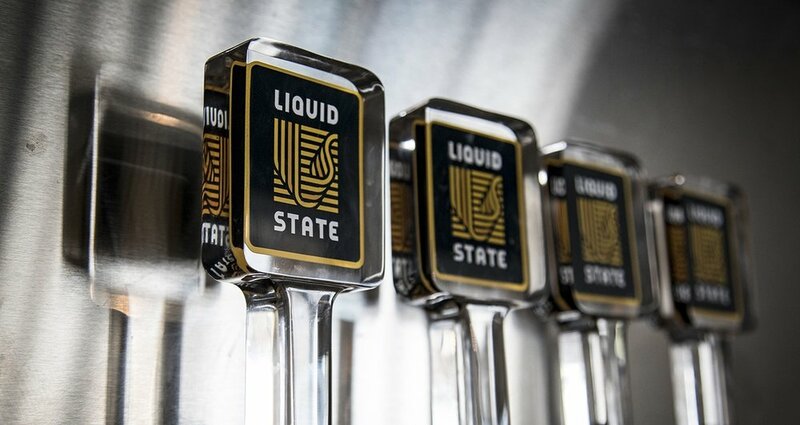 Thank you for being interested in having your event at Liquid State Brewing Company. We have hosted many types of events including holiday parties, work gatherings, presentations, birthday parties, craft fairs, and others. Below is a form to fill out to give us more information about your event. Once we receive this information we can respond to you with either additional questions or confirmation that we can accommodate your event. Please also read the bulleted list below which provides additional information and rules to understand when considering an event at Liquid State. All Drinks must be purchased at the Beer Hall. No drinks (alcohol or non-alcoholic) may be brought in from the outside. We have some light food fare such as pickles, soft pretzels, tamales, and cheese plates, but are not set up to feed larger groups. If your event will include food you may bring it in from a nearby restaurant, or look at our food truck schedule and buy from one of our visiting food trucks. We do not close the Beer Hall for events. We are not able to reserve tables for events in the Beer Hall. This means you cannot come ahead of your event and save multiple tables without having people already here to use them. If you have a larger group, please be courteous of the other customers and do not take up more table space than needed. We do have a private space in the production area that opens up to the Beer Hall that can be rented for a fee. A short title, ex. Birthday, Work Event, etc. See the description at the beginning of this form for information on our space options. Thank you for inquiring with Liquid State for your donation request. We are a locally owned Brewery and Beer Hall in Ithaca, NY, who just opened our doors in November 2018. We are committed to serving our local community and are particularly focused on causes that benefit the underserved, children, education, nature, and animals/wildlife. We also like to support efforts that improve the quality of life in our community, including the arts, music, parks, natural spaces, and environmental causes. When we created this space one of our most important goals was to create a safe and comfortable place for everyone. To that end, we (as Liquid State) decided early on to remain neutral in our associations with regard to politics and other controversial or discordant issues. If you believe your organization meets our criteria, please fill out the Donation Request Form below. We receive many requests per week, so will consider your requests as soon as possible. Who or what will be the beneficiary of the donation?